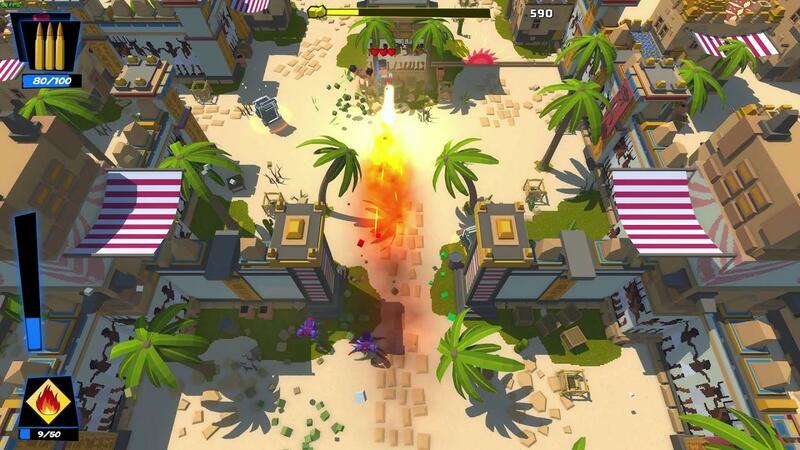 I Hate Running Backwards, originally called Serious Sam: I Hate Running Backwards is an absolutely mental never-ending shoot 'em up and it's now on Linux. While it's no longer a named Serious Sam game, it's still set somewhere in the same universe and you can still play as Sam, along with other cross-over characters like Lo Wang (you need to unlock him). I had the pleasure of testing it before release and I came away quite impressed. It's not perfect by any means, but it's a pretty fun shooter for those who love their destruction. One of the interesting elements to the game (apart from you moving backwards) is that the environment is destructible. You will need to destroy it too, since a lot of it will get in the way. It seems the initial release did have some pacing issues, difficulty issues and so on according to Destructoid, but it's pleasing to see that Binx Interactive reacted in a positive way and improve practically all of it. 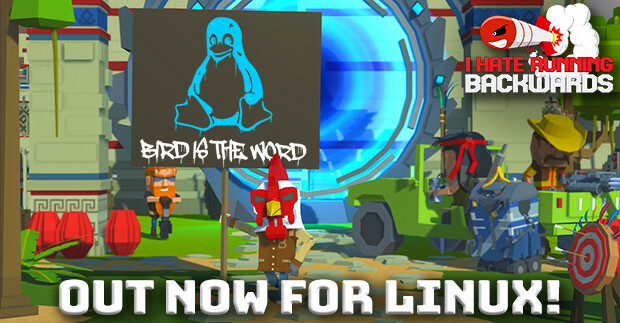 Again, a nice thing about a slightly delayed release is Linux gamers get a better version. If you do find it too difficult, it does also have a "Baby Mode"—I don't think I've ever cursed so much at a boss fight before. It took me, seriously, five attempts to beat even the first boss. Not because it's overly difficult, because of tiny missteps causing me to lose health. Thankfully, when you do eventually beat a boss, you get the ability to skip to the next level when you enter the portal which is really damn sweet. There's nothing I hate more, than powering through something to be forced to constantly repeat it, so I'm happy you don't have to here. I tested with both Keyboard and the Steam Controller (with SC Controller) and it worked perfectly, no issues found. Overall, it's an incredibly fun (and frustrating) shoot 'em up that's easily worth a look. Grab it from: Steam. It's also 35% off during the Steam Summer Sale until July 5th. Cool that it is on Linux so quickly. Also, it is offered with 35% sale discount from now until 5th July on Steam. OMG this came out of left field for me, awesome! b b bird bird is the word, b b b birds is the word, don't you know about the bird?? everybody knows about the bird.